After trying to help the husband of the neighbor he inadvertently loves, a stunt driver gets in trouble after the husband died in the process. As it turns out, the man they'd just stolen from is the business partner of the man his boss tried to do business with. Things get worse when the enemy is now after the girl that he cares about and when his fatherly boss gets involved. He just have to find a way to clean up the mess that he started. God, this movie just drove me crazy! I can't believe this movie was adapted from a book! Now I want to read the book just to know whether the guy lives in the end. I don't know but I just found my heart being wrenched watching this film. I actually felt for the guy. His name wasn't even given. 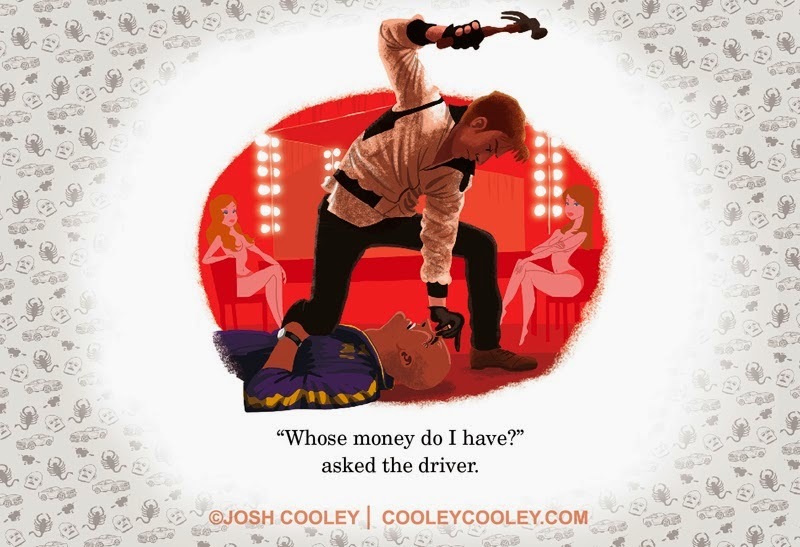 As the credits roll, the only name that appeared was "Driver". I love the way that this film was made that you won't even realize that the guy doesn't even have a name until you wait for the credits to roll. Maybe it reflects the way on how the novel, that this was taken from, was written. 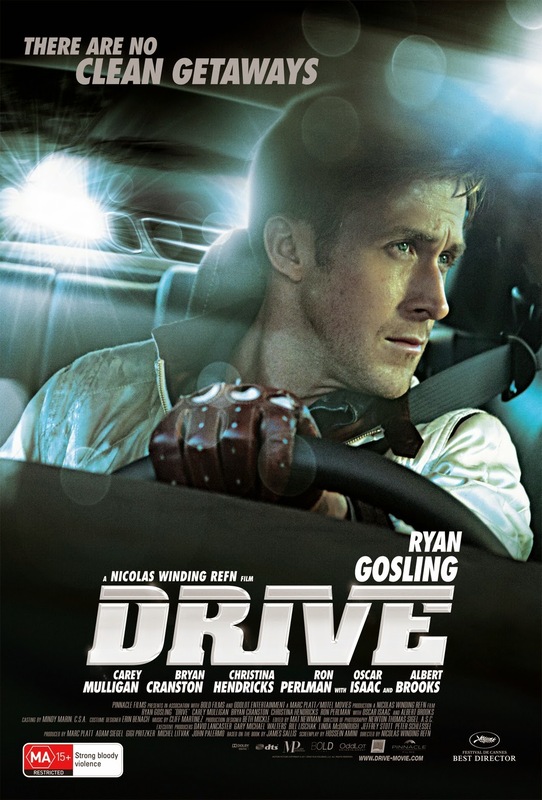 Kudos to Ryan Gosling for playing well in his role as the protagonist of the film, the Driver. He's not that dreamy guy in most of his films anymore. I think that it is this movie that commended him to play the role of a dangerous guy like in Gangster Squad. Perhaps with the exception of the remake of Dawn of the Dead, he could actually do well in action films. It just made him a well-rounded actor. The movie starts off in a silent action. The first 10 minutes is a scene where either you just watch the film in nonchalance or hold your breath for the thrill. It's night time and there's a car chase, sans the police commotion. You could see how nerved the driver was, but he was in high alert and in total control as he assert the situation and act instanteously, driving away in silence as he paves his way in evasion in a police-laden street. I just thought then that he was a smart guy, reserved and well-collected, one who could easily anticipate other people's moves. He's the type of guy I'd rather be with if I were to march in war as a soldier. That was just the start of the film and it was already great! After that, the story kind of builds slow as other characters are introduced. Rather, as prospect romance was introduced. I assure you, this isn't a romanctic film, it's straight action. The romance aspect was simply nothing but a backdrop. After that, things will start to roll and mount to non-stop action. With Gosling's small voice, at the beginning, even after that police car chase incident, you'd think that the character is just a free-and-easy guy. He's just a getaway driver in a crime after all. He's nice and friendly, and someone you'd easily smile with in casual manner if you ever get to walk into him (or maybe because Gosling is hot). But he's not. He's a good person, yes. But if you mess with him, he'd get under you before he topples you over. That's the kind of guy that Gosling was able to portray. I couldn't appreciate him more. The storyline is smooth which I could give credit to the book author. Movies like this look clichéd but this one proves itself to be original. You'd keep guessing as to what's going to happen next. Or perhaps, you'll just be kept on your toes as you witness the story unfolds. There's a feeling that you already know the character of the driver, anticipate his moves and yet, you'll be kept surprised. Because he looks good enough, you'd worry for him. But more so, you'd feel for the others. Especially his old boss. Aside from the character and the story, another thing I appreciate from this film is the beautiful tracks. Such lovely music on the background while the characters do about their business. They sound like 80's pop with that echoes of girly singsong voice, making the scenes look reminiscent, bringing about deeper feelings for someone like me watching (though I was born in 90). This is a kind of bloody movie with a soul in it. Not a big story but nonetheless, a soulful one due to a soulful character. I recommended this to those who love bloody action films and old enough to watch. Thanks for sharing the post.. Love to read it,Waiting For More new Update and I Already Read your Recent Post its Great Thanks.Cheers for sharing with us your wonderful blog.